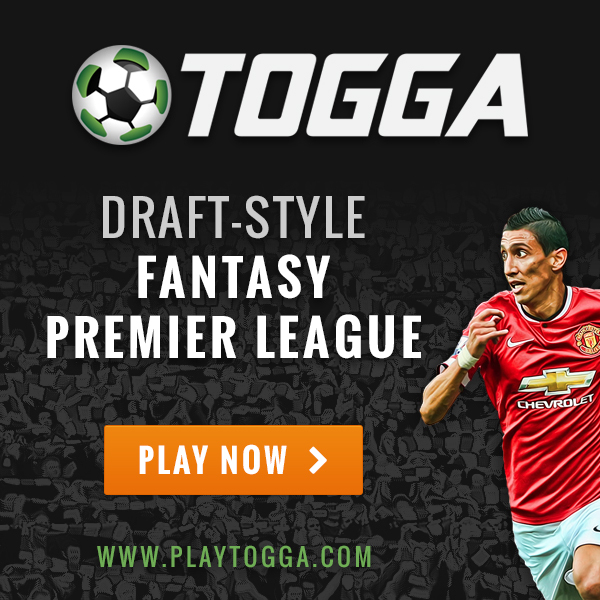 Togga is an all new draft style fantasy Premier League game that is great for American fantasy sports fans looking for a soccer/football league to play that is similar to every other American version of commissioner style fantasy draft leagues. In typical European style fantasy soccer leagues participants get to pick who they want on their team based on a £100 budget. This means that my team could be identical to anyone else’s team in the competition. The Premier League’s official fantasy football game is set up in this manner as is any other number of fantasy leagues including ESPN, Yahoo, and major English newspapers. What you get with Togga is an American version of a fantasy sports league in which you draft in players that will be unique to your team. This also means that you can trade players to boost your squad, if you can work out a fair trade at least. The draft experience is one that I have always enjoyed going all the way back to pencil and paper baseball drafts in junior high. It’s something that not only gets your heart pumping with the excitement and the competition, but also means that you need to be on top of your game in terms of which players will fit into your squad and get you the most points. To truly participate in a draft and hope to succeed you really need to know what you are looking for and be prepared to have three, four, or five alternatives if the player you want was just drafted by the previous three teams in front of you. It would be great if they had a chat room available for the draft experience, but using Twitter is a good alternative to keep the banter going between picks. The draft process involves firstly creating or joining a league and joining the draft at the designated time. Once you are ready to participate in the draft you can enter the draft room which shows you the draft order on the left with the body of the page including a list of ranked players to peruse. From this page you can also set your queue of players you want to draft. This queue allows you to set a drafting order in case you need to go on auto-draft or are simply away from your computer for a few short minutes and might miss your turn. Also, don’t worry if you are unable to make it for the set draft time. The game will auto-pick players for you based on their rankings within the game, so you can still get a decent team. Even if you don’t like your team you can work on making trades with other owners or picking up free agents or waiver wire players. Each time your team is up in the draft you get one minute 30 seconds to pick your next player. During this time and anytime while waiting, you can check out players by looking at their stats on their player cards. The player cards are a great feature that allow you to see a breakdown of their fantasy points for each gameweek. 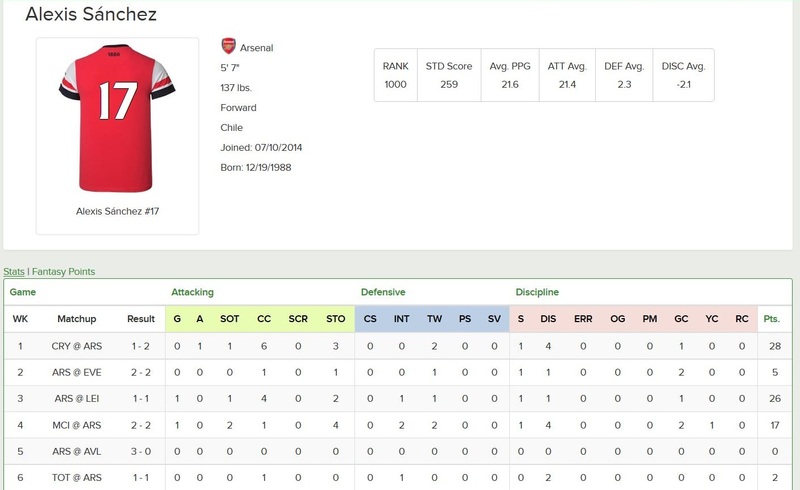 This can be viewed as either statistics or fantasy points to see the breakdown of what each player will be adding to your team. These player cards are always viewable when you want to check out your team. Stats are broken down by columns including Games, Attacking, Defensive, Discipline, and Points. Within each column are the various areas where points are gained or lost by each player such as goals, assists, clean sheets, errors, or yellow cards. The player cards also list a quick reference point showing their standard score, average points per game, and averages for attacking, defense, and discipline. 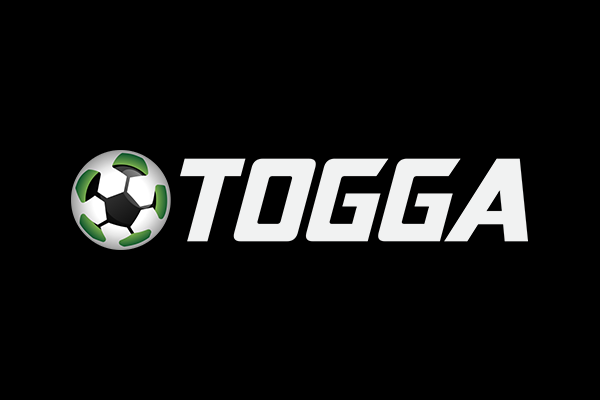 I’m a big fan of Togga so far and I’m really looking forward to continuing to play and experience their truly American take on Fantasy Premier League. The draft style of fantasy sports is always a lot of fun, particularly when you can get a group of friends together and really get the competition going. I hope that you can all go check out this great fantasy soccer game and enjoy the experience for yourself! You can register for free and get started in a league today!